← Anthony’s Pizza and Pasta: Colorado Blvd. 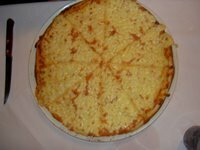 Style of Pizza: One crust fits all – thin and tasty. Service: Dine-in (or rather, on the beach) only. Standout Tidbit: Some things just seem to go together. Peanut butter and jelly. Milk and cookies. Venezuela and pizza. Review: Our most recent vacation took us to a place where baseball trumps soccer, corrupt politicians run the land, and traffic laws are more like suggestions. No, not D.C. This was beautiful Isla Margarita, Venezuela. You’ll notice pizza missing from this list. 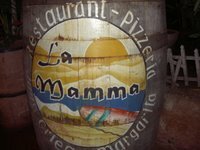 Because pizza, my friend, at Mamma’s Restaurant in beautiful Juan Griego, is NOT to be missed. We ate at Mamma’s on one of our last days of the trip, after we’d learned important lessons like ordering drinks with no hielo (ice) and that the margaritas on the island are flavored with something akin to ethanol. We had low expectations going in, knowing the kind of American food we’d had so far had not been the best. To be sure, Mamma’s is not just a pizza place. Their menu sported offerings of many other specialties with poultry, seafood, pizza and salads each taking up a full page of the menu. With so many items, how could anything rate outstanding? After enjoying our lush surroundings right on the beach and catching up with the neighboring table (who, oddly, had been on our same flight from Denver), we gestured and pointed our way through the menu. We ordered a small Hawaiian pizza and a small cheese and were prepared for any number of things. (How small is small? Are we talking ittybitty personal-size? Is Hawaiian the same thing here as it is at home? 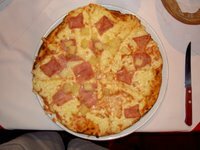 What do these people know about pizza, anyway?) We sipped pina coladas and daquiris (with fresh fruit! Bueno!) as we waited in the open-air restaurant. Toasty, buttery, garlicy bread was brought out as an appetizer which we gobbled down. And then – behold – the pizzas! The toppings on the Haiwiian were perfect, with cheese bubbling all the way to the edge of the pan. 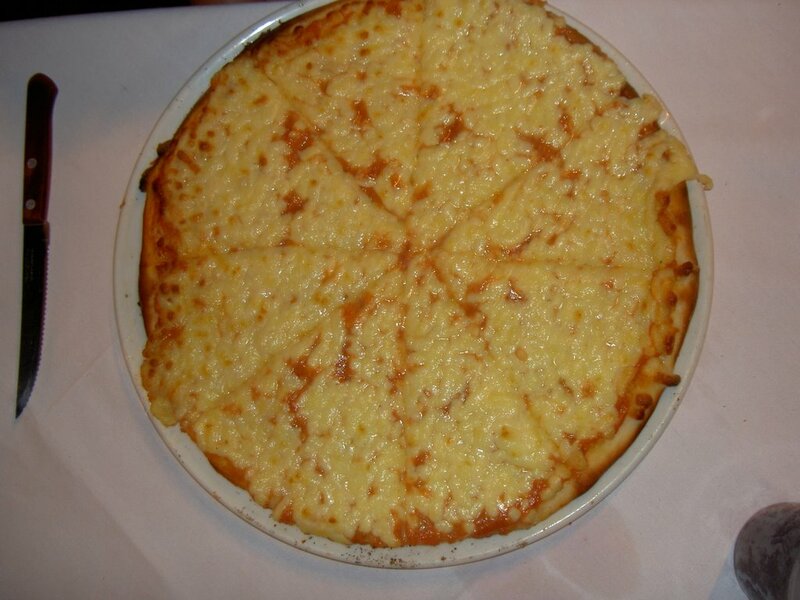 The cheese za was a little more sparse, with sauce sightings through the top layer of cheese, but still quite tasty. The sauce itself was equal parts sweet and equal parts tangy and equal parts delicious. After seeing All. Those. Toppings!, I was worried about the durability of the crust. Pretty, yes, but functional? Thankfully, the crust had some secret sog-proof ingredient that held up well. We found it firm but not a tooth-chipper while still being soft and avoiding the under-cooked doughy results you often get with a plethora of toppings. To sum up the experience, the dough was tasty, not bland, the sauce tasted as though they’d just plucked the tomatoes off the vine that day (and maybe they had) and the toppings were glorious in their infinite quanities. For the grease to goodness ratio, I’d also rank it favorably. Although not the world’s best pizza, I would venture to say it has the market cornered on the island. A vacation to Isla Margarita will give you beautiful beaches, glorious scenery, and, if you head to La Mamma’s, a nice slice of home. This entry was posted in Good, Thin Crust, Uncategorized. Bookmark the permalink.